This year marks the 200th anniversary of the birth of Cecil Frances Alexander (1818-1895) who first wrote this hymn. But her name means many people forget that she was a woman, and few people remember that she was Irish-born and the wife of a Church of Ireland Archbishop of Armagh. Cecil Frances Humphreys was born at 25 Eccles Street, Dublin, in April 1818, the second daughter and third child of Major John Humphreys, and his Irish wife Elizabeth Frances (née Reed). Her father had moved from Norfolk to Ireland as the land agent of the Earl of Wicklow at Shelton Abbey, and she was named after Lady Wicklow, who was born Lady Cecil Frances Hamilton. She was a child when the family moved to Strabane, County Tyrone, in 1833, when her father became the land agent of Lady Wicklow’s brother, the Marquess of Abercorn. Even as a small girl, Fanny (as she was usually known) wrote poetry in her school journal. Her early work was strongly influenced by the Oxford Movement, and John Keble edited one of her anthologies, Hymns for Little Children. Other early influences included Dante Gabriel Rossetti, the Pre-Raphaelite poet and artist, and his sister the poet Christina Rossetti, who was also influenced by the Oxford Movement. She married the Revd Dr William Alexander (1824-1911) in Strabane in October 1850. She was six years older than her husband, and both families initially opposed their marriage. William Alexander, the third child of Canon Robert Alexander, was a student at Oxford at the close of the Oxford Movement and came under the influence of both John Henry Newman, who was then still an Anglican, and Edward Bouverie Pusey, then the Regius Professor of Hebrew. Throughout his life, William Alexander’s theology bore the stamp of the ‘Bisley’ school of Tractarianism, gathered around John Keble’s brother, the Revd Thomas Keble of Bisley, Gloucestershire. He was ordained in 1847, and after a brief curacy he was rector successively of the parishes of Castlederg (1850-1855) Upper Fahan (1855-1860) parishes in the north-west of Ireland, and in 1864 he became the last Dean of Saint Alibeus Cathedral in Emly, County Tipperary, before it was demolished. He became Bishop of Derry and Raphoe in 1867, and was the last bishop of the Church of Ireland to sit in the House of Lords before disestablishment in 1871. He later become Archbishop of Armagh and Primate of All Ireland. 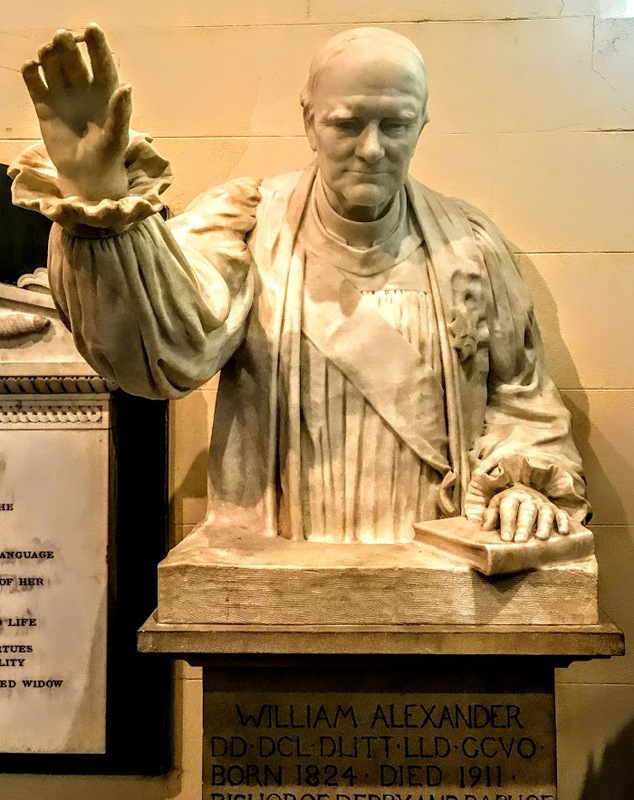 Mrs Alexander took her role as an Anglican bishop’s wife seriously, accompanying her husband throughout his travels in Ireland and taking a special interest in children. Some of Cecil Frances Alexander’s hymns are said to have been inspired by the scenery around both Sion Mills and Strabane. She showed her concern for disadvantaged people by travelling many miles each day to visit the sick and the poor, providing food, warm clothes, and medical supplies. She and her sister also founded a school for the deaf. Like her husband, Mrs Alexander was strongly influenced by the Oxford Movement and by John Keble’s Christian Year. Her first book of poetry, Verses for Seasons, was a ‘Christian Year’ for children. She wrote hymns based on the Apostles’ Creed, Baptism, the Eucharist, the Ten Commandments and prayer, writing in simple language for children. Her more than 400 hymn texts were published in Verses from the Holy Scripture (1846), Hymns for Little Children (1848), and Hymns Descriptive and Devotional (1858). She also contributed to the Lyra Anglicana, the SPCK Psalms and Hymns, Hymns Ancient and Modern, and other collections. Stanzas 1 and 2 describe the birth of Christ in simple terms. The city, of course, is Bethlehem, his birthplace and the birthplace of his ancestor, King David. 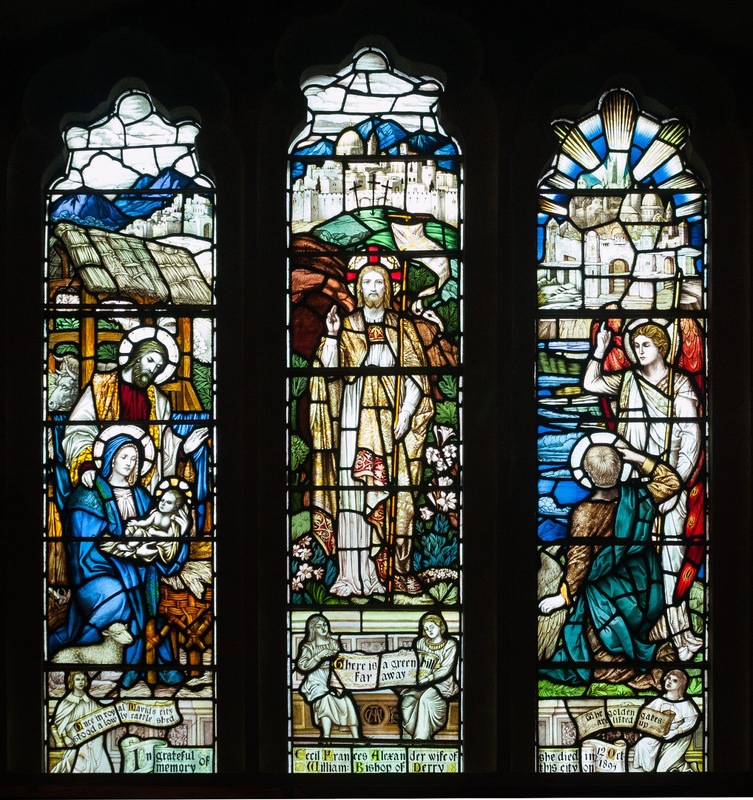 Mary and Joseph were there to be counted in the census, which determined the tax distribution and burden of many communities, and was a real hardship for the poor who had to travel across difficult terrain. Stanzas 3 and 4 see Christ’s childhood as a pattern and example for children in living their lives. 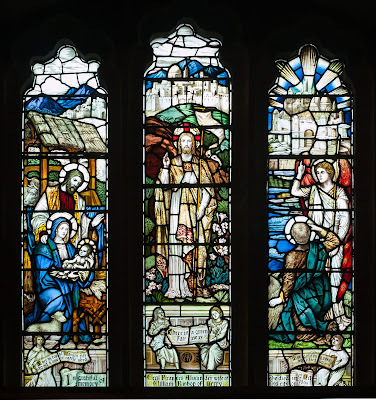 Stanzas 4 and 5 proclaim the divinity of Christ and point to his heavenly glory, which is in sharp contrast to the humble circumstances of his birth. The Christ Child who was born in humility and poverty is not only our pattern and example but also our Redeemer, seated in glory at God’s right hand in heaven. This hymn was first published in 1848 in Hymns for Little Children, her most famous collection. A year later, the English composer and organist Henry John Gauntlett (1805-1876) found her poem and set it to music with the tune, ‘Irby,’ named after a village on the Wirral Peninsula. Over the years, many changes have been made to the wording of this hymn. Some alterations changed her original ‘lowly maiden’ to ‘lowly mother,’ reflecting concern among some Anglicans that the word ‘maiden’ might imply accepting belief in the perpetual virginity of the Virgin Mary. However, the original words have been restored in the fifth edition of the Irish Church Hymnal used by the Church of Ireland. Her hymn ‘Jesus calls us! O’er the tumult’ is one of the hymns written not for children but for adults, and was originally intended as a mission hymn. 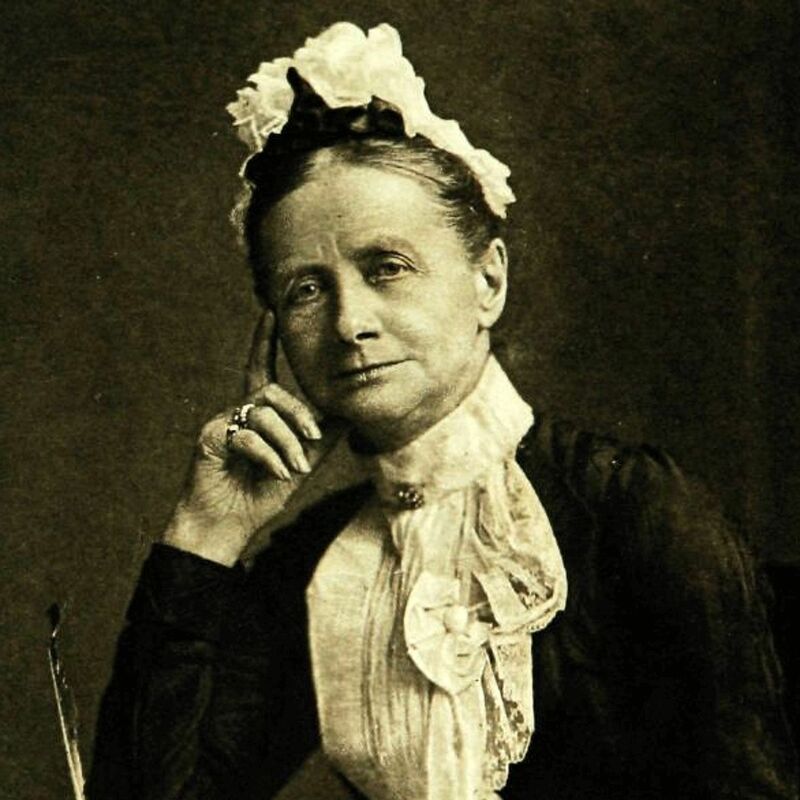 At the request of HH Dickinson, Dean of the Chapel Royal in Dublin Castle, she produced an English version of a Gaelic poem, ‘Saint Patrick’s Breastplate.’ The hymn, also known by its opening words, ‘I bind unto myself today,’ was first used on Saint Patrick’s Day 1889. It has been argued she was affirming that all are equal in God’s eyes. But many later hymnals omitted this verse and many schools have banned it. She died at the Bishop’s Palace in Derry on 12 October 1895 and was buried in the hillside cemetery that inspired her hymn, There is a Green Hill Far Away. A year later, her husband became Archbishop of Armagh at the age of 72 in 1896. As a bishop, he had retained his academic interests. He was the select preacher at Oxford, Cambridge and Dublin, and delivered the Bampton Lectures in Oxford. He is also mentioned by James Joyce as part of the procession in the ‘Cyclops’ episode in Ulysses. His concerns for sound theology and good liturgy made him one of the most effective influences on the Church of Ireland after disestablishment. He retired in February 1911 at 87, and lived briefly in Torbay, where he died on 12 September 1911. This year also marks another centenary associated with Mrs Alexander’s best-known hymn. It is 100 years since the Festival of Nine Lessons and Carols in the Chapel of King’s College, Cambridge, began its Christmas Eve service in 1918 with Dr Arthur Henry Mann’s arrangement of ‘Once in Royal David’s City’ as the processional hymn. Mann was the Organist and Director of Music at King’s from 1876 until his death in 1929. In his arrangement, the first verse is sung by a boy chorister of the Choir of King’s Chapel as a solo. The second verse is sung by the choir, and the congregation joins in the third verse. Excluding the first verse, the hymn is accompanied by the organ. This carol was the first recording that the King’s College Choir made 70 years ago in 1948. Now, every year without fail, at 3 p.m. on Christmas Eve, this is the opening carol from the Chapel of King’s College, and it is broadcast live from Cambridge on the BBC Radio 4. For many, this carol is still a reminder that love and goodness are rare and wonderful gifts, and for many to hear it live on BBC Radio 4 marks the true beginning of Christmas.